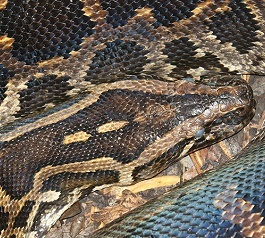 Fact: Pythons have hinged jaws that allow them to dine on prey that is five times larger than their heads, and a large meal can keep them full for over a week. 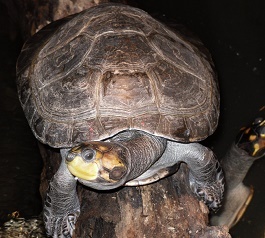 Fact: Instead of pulling their necks straight back into their shells like other turtles, sideneck turtles tuck their head and neck sideways under the protective edge of the shell. 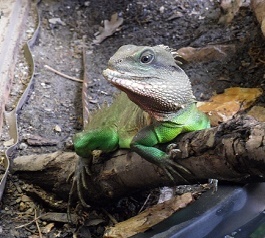 Fact:The Chinese water dragon has a sensory organ on the top of its head called the “parietal eye.” The “parietal eye” is sensitive to changes in light and may stimulate hormone production and aid in thermoregulation. 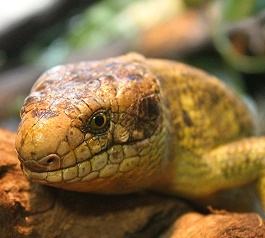 Fact: The prehensile tailed skink is the only skink that is completely herbivorous and also the only skink with a prehensile tail. 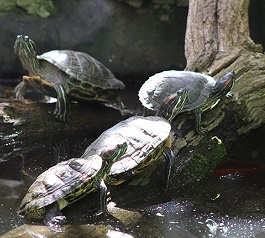 Fact: Because they were once the most popular turtle in the pet trade, an estimated 5-10 million red-eared sliders were exported around the world. 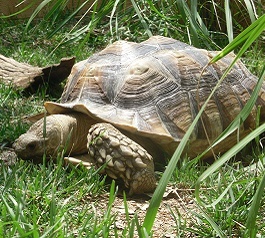 Fact: Sulcata tortoises are the 3rd largest tortoise in the world (after the Galapagos and Seychelles) and largest African mainland tortoise. 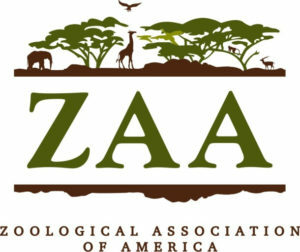 For more information about all of the animals in our collection, visit http://mas148.wixsite.com/millmountainzoo. 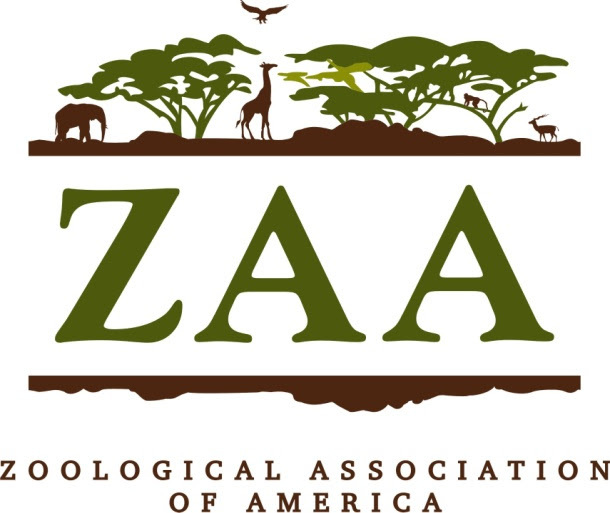 This companion website was created in 2016 and expanded in 2017 as Senior Projects for Conservation Biology at Virginia Tech.